Shootout for Soldiers is a 24 hour lacrosse event benefiting American veterans. The event is fun. It’s not a tournament or about recruiting. The event is all about supporting those who serve our country. 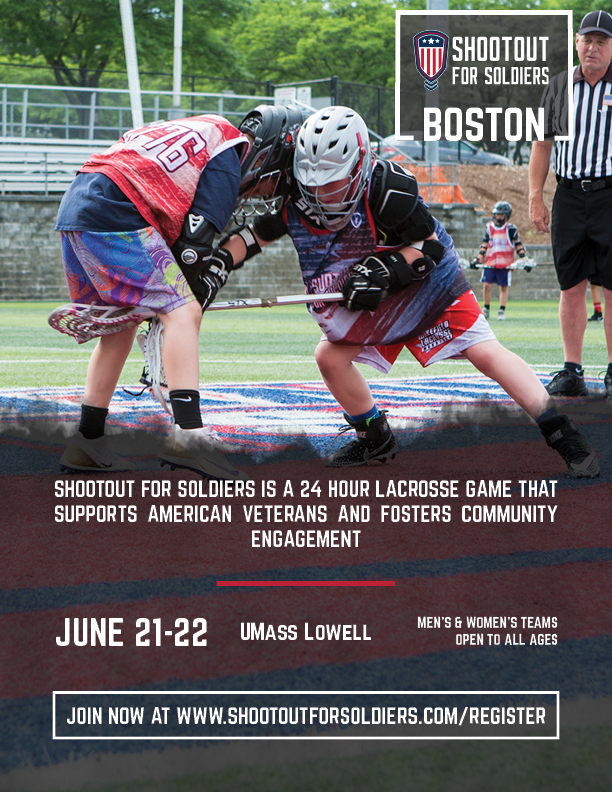 There are 12 Shootout for Soldiers events held nationwide, including one at UMASS LOWELL on JUNE 21-22. Mass Bay Youth Lacrosse League is proud to to have this event in our backyard to encourage our members to particiapte in this community charitable event. Click HERE for more information on signing up a team, volunteering or donating to the event.